Harare - The prolonged absence of Zimbabwe’s foreign affairs minister, Sibusiso Moyo from the public domain has ignited health rumours, with some unconfirmed reports that the minister is now unable to speak according to some media sources. According to ministry of health sources, Moyo’s kidney ailment has made has taken a turn for the worse causing some serious weight loss and he is reported to be unable to speak now. Moyo is well known for announcing the Zimbabwe military coup against Mugabe on national television in November 2017, and was rewarded by Mnangagwa with his influential cabinet post, to manage the country’s International relations and foreign policy. Moyo who is thought to be a close ally of vice president, Constantino Chiwenga, in government, has not attended to government business since September and has had to undergo undisclosed surgeries and a recent review in South Africa. Last month Mnangagwa’s spokeman, George Charamba, confirmed Moyo had undergone two medical operations at a local hospital, before flying out for a brief review in South Africa. There have been concerns in recent times over the effectiveness of government day to day operations, as senior figures especially in the presidium, including Mnangagwa have been receiving medical treatment at elite hospitals in South Africa. Moyo was born at Munene Mission Hospital in Mberengwa in 1960, the third child of eight and joined the liberation struggle in 1977. He is said to be a holder of a PhD in International Relations from the University of Zimbabwe, Masters in Business Administration from Zimbabwe Open University and a Masters in International Relations from the University of Zimbabwe. He was a major general in the Zimbabwe National Army, before being promoted to lieutenant general on retirement in December 2017. He was promoted from brigadier general to major general by former President Robert Mugabe in January 2016. On 15 November 2017, following the house arrest of Mugabe the previous day, Moyo gave a statement on state broadcaster Zimbabwe Broadcasting Corporation, denying that a coup had taken place, stating that "the president... and his family are safe and sound and their security is guaranteed", and that the military were "only targeting criminals around [Mugabe] who are committing crimes... that are causing social and economic suffering in the country". Moyo went on to say that "As soon as we have accomplished our mission, we expect that the situation will return to normalcy." On the 18 November 2017, Moyo gave a vote of thanks to all Zimbabweans that marched in solidarity to remove Mugabe outside State House. 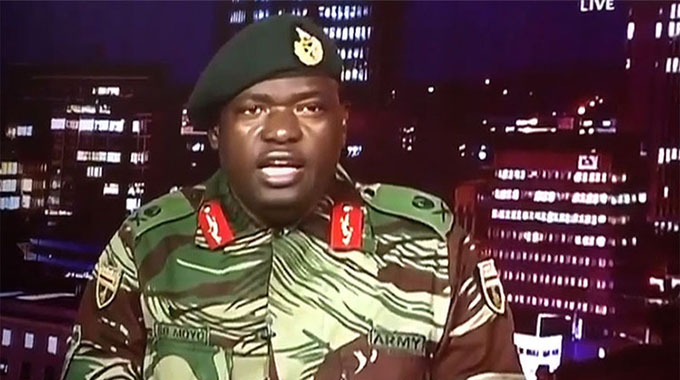 The announcement role he played of the army stepping in to remove Robert Mugabe as the president of Zimbabwe earned him the sobriquet "General Bae". On 30 November 2017, Emmerson Mnangagwa, Zimbabwe's 3rd president, who replaced Mugabe, appointed Moyo as Minister of Foreign Affairs and International Trade.